Down here in Devonshire everybody is talking, it would seem, about toilets. Public ones to be precise and how much they are costing local authorities to run. We have a quandary here, local authorities don’t have any money but tourists (and locals) need toilets. Torbay has handed its toilet provision over to a third party and we will all soon have to start spending more than a penny to go. 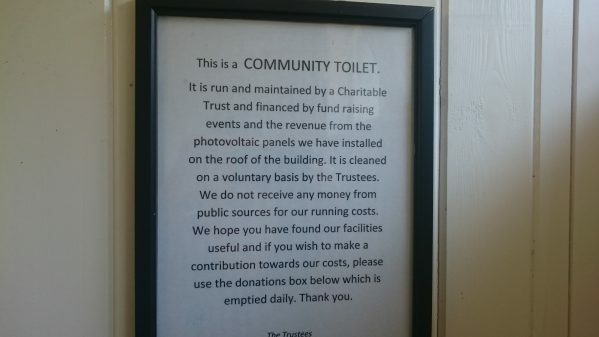 Whilst I was on Exmoor with DofE a few weeks ago, I had the good fortune to discover (after doing my best to help a discombobulated lorry driver out of a sticky situation) a public loo that had been taken over by the community (presumable because it had been threatened with closure). 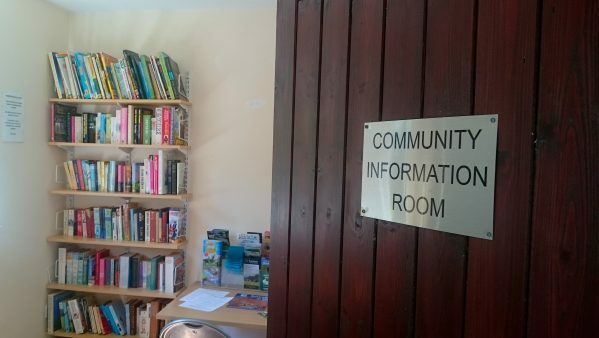 Not only had the residents of Barbrook taken it upon themselves to look after and clean these lovely loos themselves but they had also converted one of the ‘chambers’ into a ‘local information room’ complete with books, magazines and a desk. The toilets are funded by revenue from a solar panel on the roof and public donation and, not only are they run by a charitable trust, they are also twinned with two toilets in Cambodia. As I travel I like to collect loos and I am now pleased to add the public toilets in Barbrook to my growing list. Excuse Me, Where is the Lava-Tree?